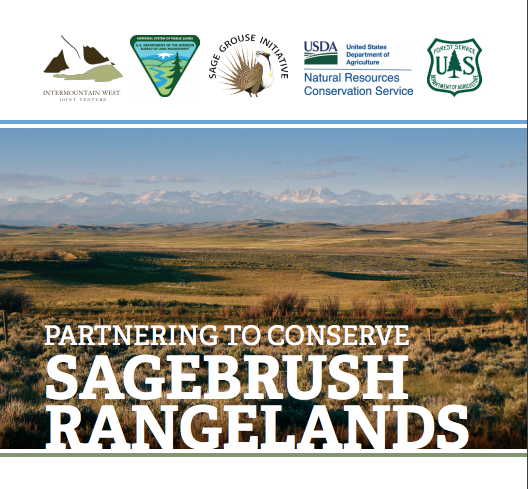 One element of this innovative sagebrush conservation partnership is the IWJV's pledge to support BLM communications. This work entails crafting messages that resonate with key audiences, and strategically delivering innovative communications tools and tactics that have the greatest impact. The IWJV offers “network capacity” and “technical communications support,” which are important assets to BLM. The following strides were made in FY 2017 to share about the BLM-IWJV partnership, and engage public and private partners that are vital to continued success in sagebrush habitat conservation. The following includes three highlights from FY 2017. Sagebrush Connections is a new magazine-style publication about the proactive sagebrush conservation alliance among the IWJV, NRCS SGI, and the BLM. 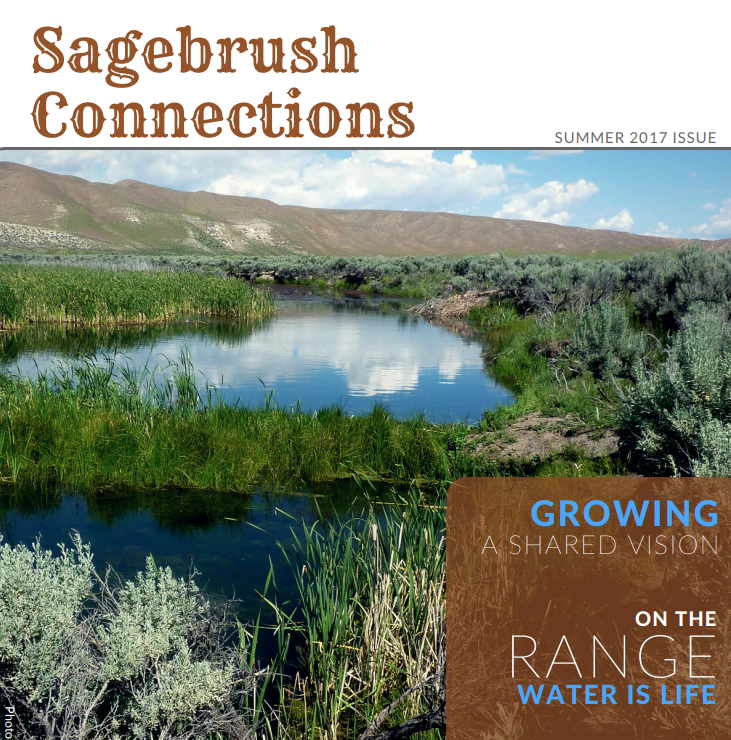 The first issue of Sagebrush Connections focuses on the theme of water. It was distributed with the release of the web portal in September 2017. The IWJV is planning to release the second issue of Sagebrush Connections in 2018, and currently in the process of looking for contributions and story ideas from BLM partners. IWJV staff and Utah State Conservation Partners conducted a special field tour featuring visits to private and public land projects in West Box Elder County, Utah. Over 75 people attended, and a dozen local partners spoke about community-led conservation. Out of this tour came a number of exciting new projects and efforts, such as 1) a story map, 2) new stories of local and lasting conservation promoting BLM and partnership successes; 3) videos; 4) special social media campaigns; and more. This brochure, completed in March 2017, was the first important deliverable to help communicate about the MOU among the NRCS, BLM, and USFS, and to promote the BLM-IWJV intra-agency agreement. It required months of coordination and collaboration with these agencies to develop a shared vision and unified message. This tool is often the "entry way" communication this partnership uses to bring in new people and organizations. Please contact Hannah Nikonow if you would like hard copies.